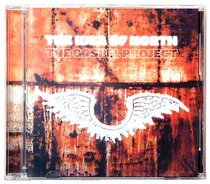 Australia's premier a cappella quartet, The Idea of North have finally produced this, their very first Gospel CD, after many requests over many years for such an album. Having always included one or more Gospel tracks on previous CDs, this offering explores the group's unique and eclectic take on Gospel and highlights their outstanding musicianship and sensitivity to lyric and melody. This highly anticipated album will be an instant hit with lovers of great gospel music, aficionados of beautiful vocal music, and fans of this outstanding Australian group. Graced with classic gospel tunes, wonderful original writing and a number of uniquely Idea of North inclusions, this is a must have.